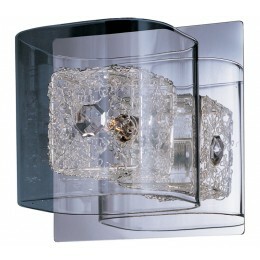 With the illusion of floating on air, the Gem Collection offers a touch of mystery to any room. Intertwined metal cubes are encased by clear crystal cubes, allowing xenon light to shine from within and bursting out through the embellished crystal. 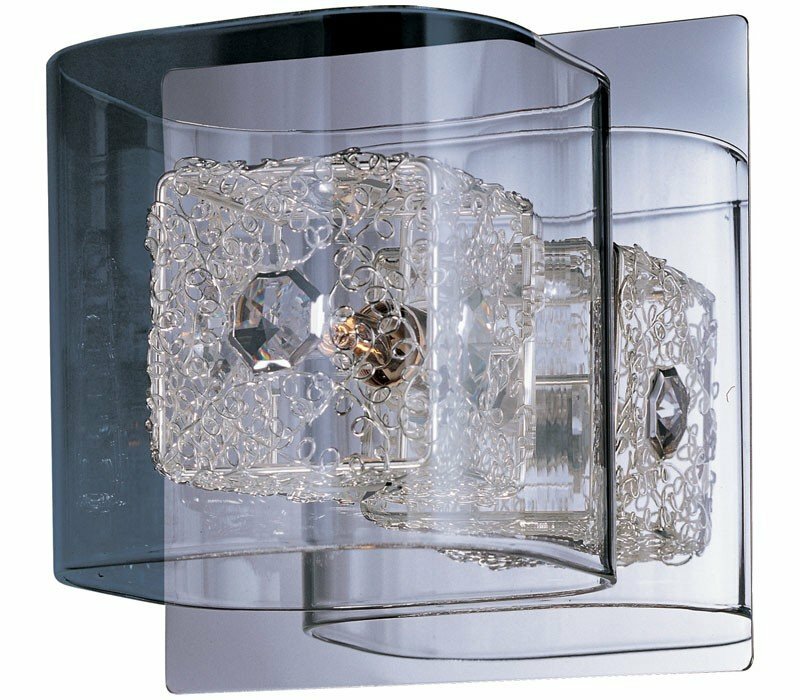 The ET2 E22830-18SVPC Gem collection Sconce Wall Lighting in Polished Chrome uses Xenon light output and brings Modern style. This item is 5.25"H x 5.25"W. The wattage is 40. The ET2 E22830-18SVPC requires 1 bulb (included). Additional Information: Shade-Clear.